In a moment of clarity and chaos, awake and asleep, grounded yet floating, the veil was crossed. Consciousness began again in a world not unlike that which I have been experiencing, but one where the physical laws are quite different. The rather desperate and chaotic aspects of the previous life no longer exist and there is what could be best described as peace. Frequently called heaven, this is the astral plane being experienced by the astral body, or at least it is how I can best describe it. In Yesod, the mind loves to find patterns in chaos. This is the part of the mind where life’s “coincidences” turn into “synchronicities” and “omens.” This part of the mind tends to label things and find patterns where there may or may not be any. At the beginning of meditation, all is distraction (an itch or an obsessive thought, for example). If one can make it through this unpleasant and uncomfortable stage of delusion and distraction, enlightenment soon draws near. Within the quietness of sleep, a magical world unfold before our close eyes. A dream occurs. The dream will carry us to another existence and guide us on a spectacular journey into another dimension of our minds. We astral project without knowing it. 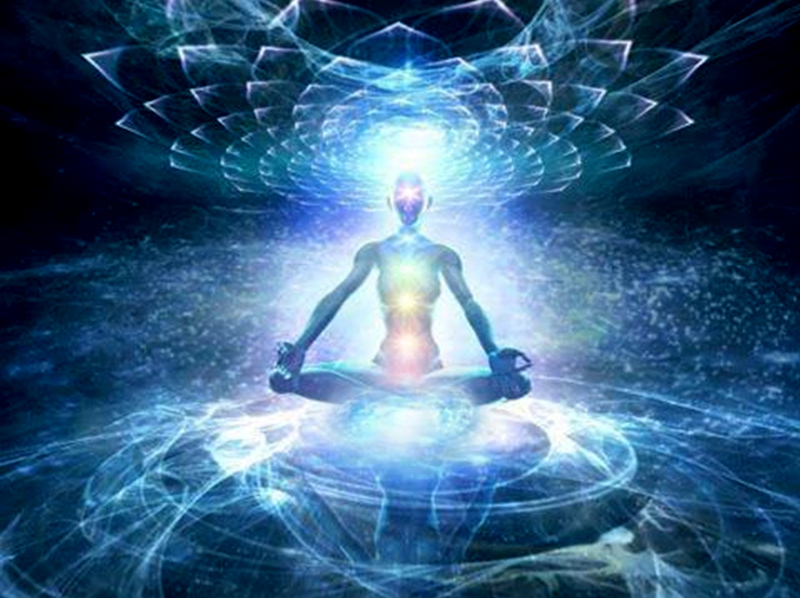 Astral travel allows us to experience raw divinity. It gives one an absolute knowingness that we are not our physical body or even our mind, and travel to the highest or lowest planes of consciousness. I recently stumbled upon a technique that I am preparing to try, and thought this would be a wonderful place to share it. Perhaps you’ll try it too! – You will be drowsy and it will be easier to clear your head. – You will drift off to sleep much faster. – You will have gotten up for a purpose; your body and mind will be tuned to what you are trying to achieve. A note to those who are skeptical about astral travel but still wish to try it: You must keep an open mind while attempting to project. Any negative thoughts or feelings will certainly hold you back. Stay positive, open, and willing. Set your alarm for 4 o’clock in the morning. Allow yourself to drift asleep. At four in the morning, the alarm will wake you. Get out of bed turn on the light, and splash water on your face. Dry your face with a towell. After about two minutes, get back in bed. Lie on your back. You will most likely be feeling groggy and tired. Your mind will be eager to get back to sleep. Close your eyes, and clear your mind. This should be easy because you are so tired. Now, imagine you are standing somewhere in your room. Perhaps in the far corner. Vividly see yourself standing there. Know that you are standing there, and that your body is still lying on the bed. Focus your whole mind on this concept. While working on that, begin a simple affirmation in your head. “I am going to astral travel. I am going to leave my body.” Say it in your head, over and over, while imagining you are on the other side of the room. While you are doing this, you will begin to drift back to sleep. Slowly, your mind will begin to cloud. Make sure that the concept of standing elsewhere in your room is the last thing that goes through your mind before you are asleep. If you experience one or more of these sensations for the first time, it may be frightening. But know that they are positive signs; signs that let you know you’re about to project. Almost always, apon feeling a strange sensation, the person trying to project gets such a fright that he/she is jolted back into their body. If this happens to you, allow yourself to fall asleep and try again the next night, knowing presently that there is nothing to fear. If you find yourself outside your body, do not stay out for too long the first time. Float about your room, become used to the physics of the astral plane, and then will yourself back into your body. You can start exploring after a 24 hour break. There may be a guide waiting for you. This guide will watch over you and take you where you please. Talk briefly with the guide, and say you will project again in 24 hours. When 24 hours pass, you will be ready to explore and venture further than your room. Happy Astral Traveling!